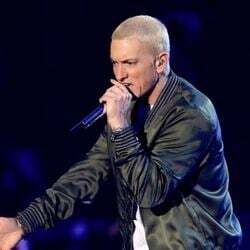 Eminem net worth: Eminem is a multi-platinum selling American rapper, producer and actor who has a net worth of $210 million. In a given year, Eminem makes around $20 million a year. In years where he is actively touring to support an album, that number can easily approach $40 million. Eminem spent his youth moving around Missouri with his single mom before settling in Warren, Michigan. He became interested in hip-hop after hearing the album "Licensed to Ill" by the Beastie Boys. Between participating in freestyle rap battles and creating his own amateur performances throughout his teen years, Marshall gained recognition and respect from the local Detroit area hip-hop scene. After dropping out of high school at age seventeen, Marshall joined Bassmint Productions, which was later renamed Soul Intent. 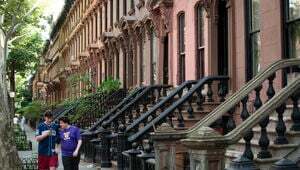 He recorded music with Mashin' Duck Records and FBT Productions, all while holding down a minimum wage job as a cook and dishwasher. Through a record company called Web Entertainment, Eminem released his debut album "Infinite" in 1996. 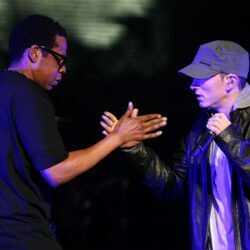 Infinite was followed by the 1997 release of The Slim Shady EP, which earned Eminem the attention of Dr. Dre, who executive-produced the major-label release of The Slim Shady LP. The album was an instant commercial and critical success, earning Eminem a Grammy for best rap album. 2000 and 2002 saw the releases of The Marshall Mathers LP and The Eminem Show. Both albums were huge successes commercially. The Marshall Mathers LP would go on to be the fastest selling hip-hop album in history. 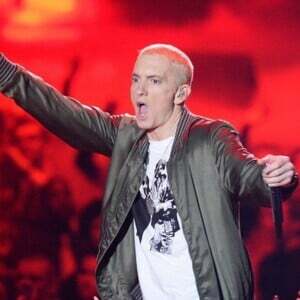 Eminem has achieved twelve #1 singles worldwide, an Academy Award for Best Original Song, eight number one albums on Billboard Top 200, and was named Artist of the Decade by Billboard Magazine in December 2009. 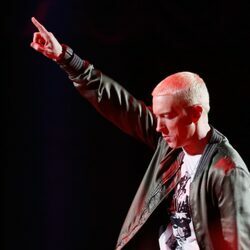 As of September 2018, Eminem has released ten studio albums and eight compilation albums. As a solo artist he has sold over 100 million records and singles plus 40 million digital downloads. In recent years, Eminem has become somewhat of a reclusive celebrity. Throughout much of the late 90s and early 2000, much of his personal life was continuously displayed in courtrooms. He has battled both his mother and his ex-wife Kim. Kim and Eminem share a daughter together named Hailie. Eminem also has custody of Kim's daughter from another relationship, Whitney, and his niece Alaina.